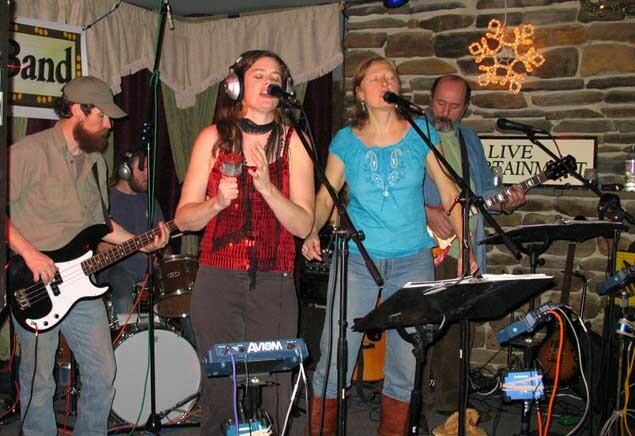 Electric Open Mic is a mobile multi track recording studio based in Brattleboro, Vermont. It is currently a one person operation. I aim to make great sounding recordings and video on a budget. If you like the videos you see and have a project you think may match what I do, get in touch. Maybe we can work together on something. NOTE: I get a lot of spam mail. If you don't hear back, try again with a more obvious subject. Once we've established contact, I'll give you an alternate email address to use. I reserve the right to pick and choose what projects I get involved in, but if you are well rehearsed, I'm happy to give a listen. 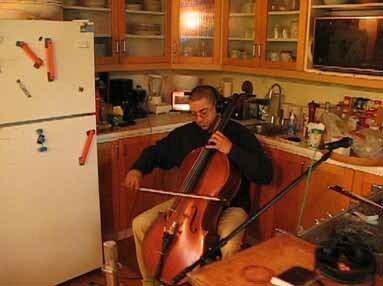 I have recorded in living rooms, bars, social clubs, concert halls, cow pastures, sun porches, offices, basements, and restaurants. It can be surprising how good music can sound even if recorded in a place one would not expect it to. There are limitations, but I am generally willing to give a try to almost anything if I think there's a chance it will come out sounding good. 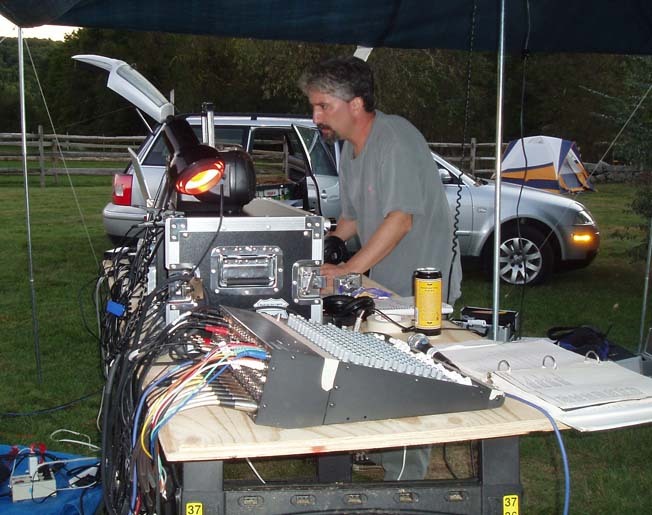 If you are interested in technical details of my recording setup, please follow this link. On May 19th 2007, I had only been recording audio and had not delved into video at all. 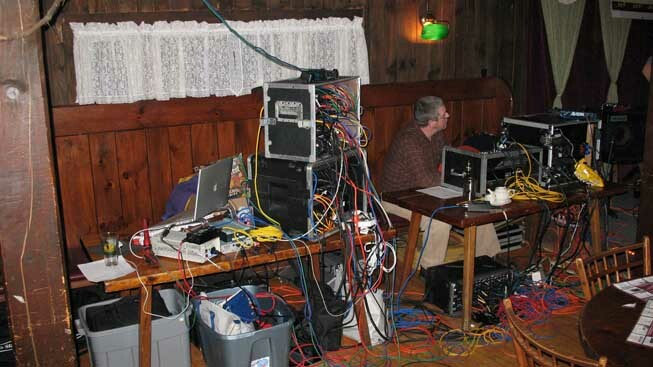 I was recording some friends in a band in the various rooms of my house, and thought it would be interesting to walk around during a practice take and show how many wires were running all over the place. That was my first video, and it got featured on YouTube and my eyes were opened to how much more interesting well recorded music can be if you have video to go with it. 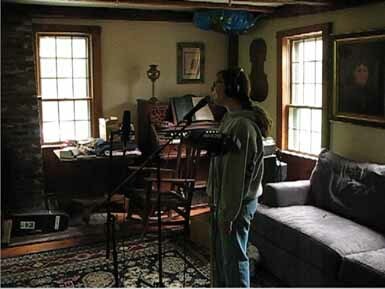 My recordinbg style has always tended towards live, and I don't tend to delve into tracking or overdubbing. That doesn't mean I wouldn't try it, but I tend to aim for live videos, that capture the moment of the music being made, while the 18 track recording system captures all the individual for later mixing and psynching with the video. In front of an audience is great, but so is playing in a comfortable rehearsal or jam space.